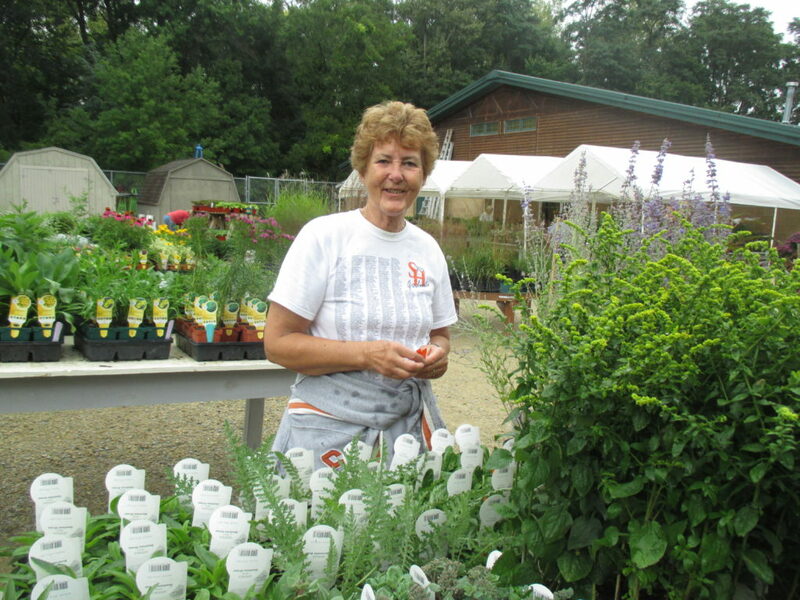 We had a very successful day of plant tagging and Fall Plant Sale organizing with our crack crew of volunteers led by Janice. We had Sandi (seen above), Sandy, Terri, Don, Pearl, Mary, Phyllis, Joy, Becky, Nancy and Tina. 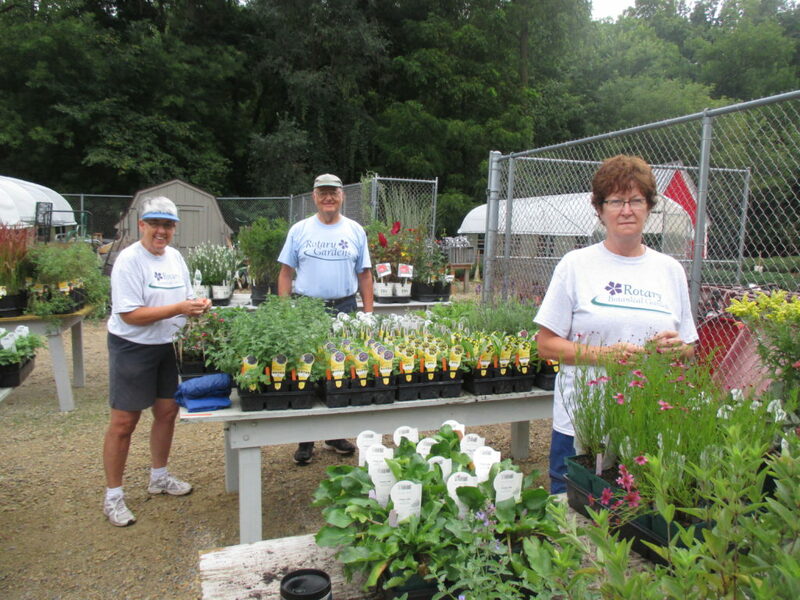 We also had help in the plant sale from Kathy, Eva, Larry H., John and Alan. Hope I didn’t forget anyone but we had a great turnout and dodged raindrops throughout the morning. The rain returned periodically and was quite heavy in the later afternoon. Kathy and Eva also headed out for leaf clean-up while Jim H. worked with RECAPPERS later in the afternoon. 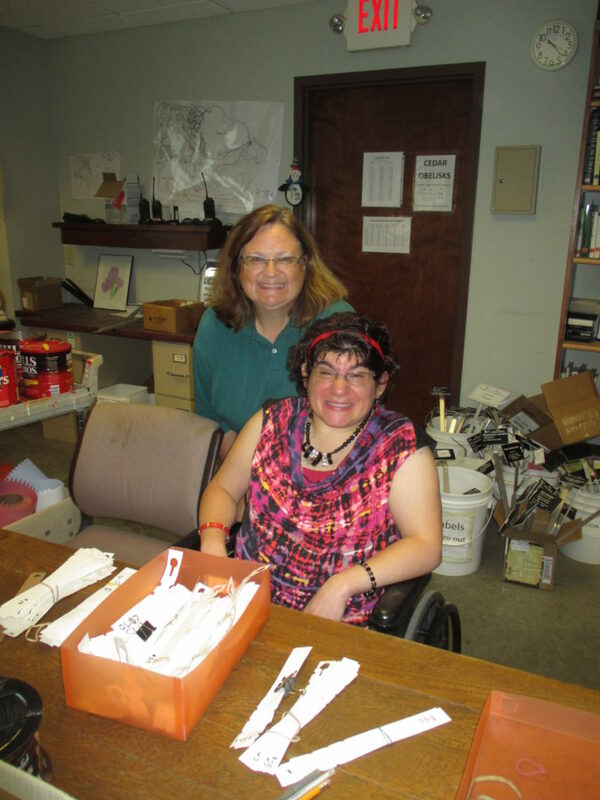 Dawn, Victoria and Jordan were in for some indoor projects which included processing pricing tags and signs. Bill O. and Larry had quite a few projects today as well. We also saw Gary, Maryam, Rollie, Andy and many others today. 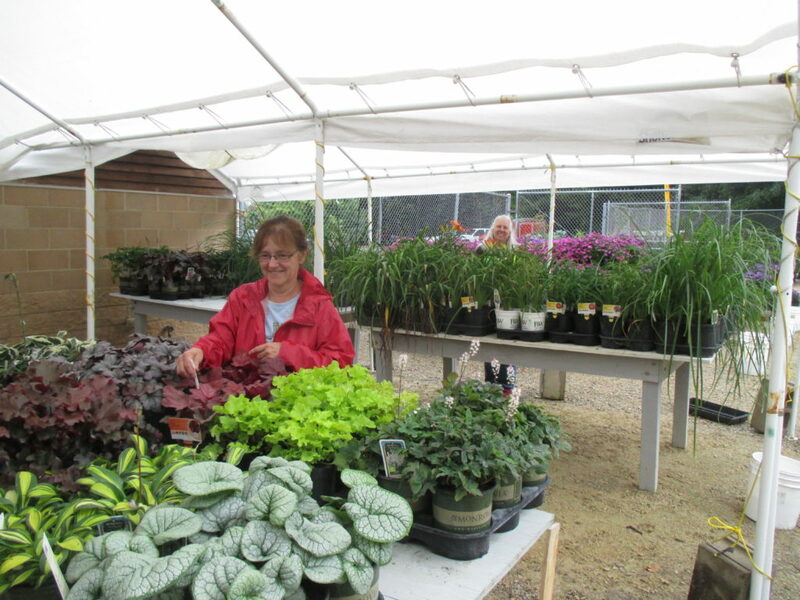 Janice did a great job keeping the Fall Plant Sale related work going smoothly and both Larry H. and John had garden duties, rainy day duties and plant sale related tasks. 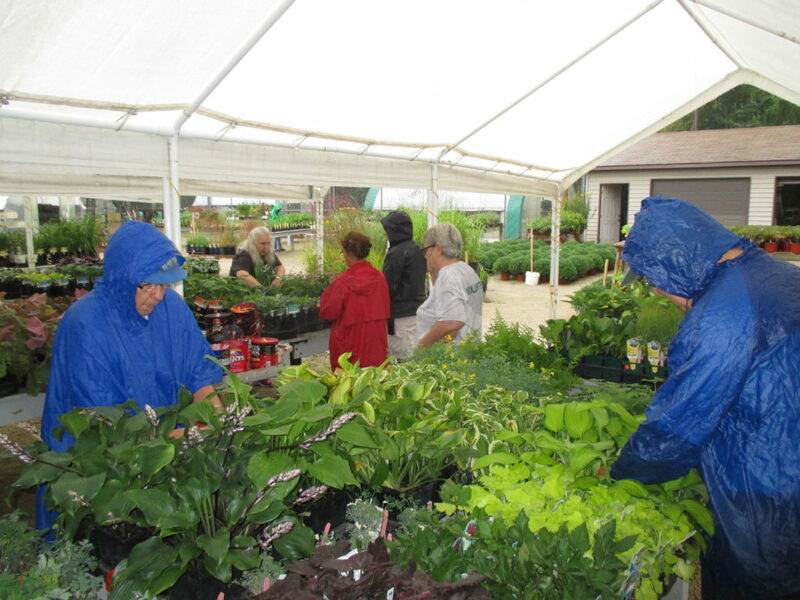 I spent most of the day on the plant sale as well and we’ll tweak it tomorrow in advance of our RBG Members Only Pre-Sale this Friday, September 9th from 9 am until 4 pm. Members get first dibs and a 10% discount over the duration of the sale. Come become a member on site and enjoy the pre-sale and discount immediately! 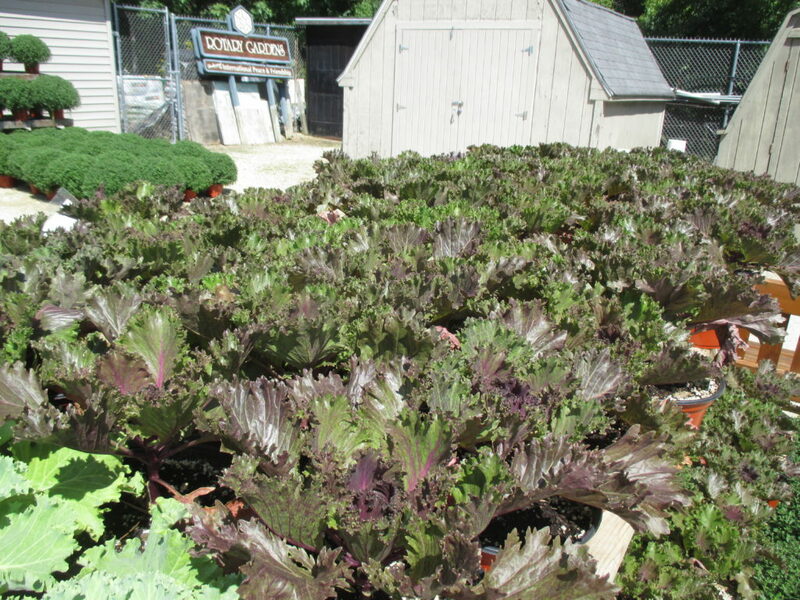 The sale has an excellent assortment of perennials, ornamental grasses, mums, asters, kale, shrubs, bulbs and much more! 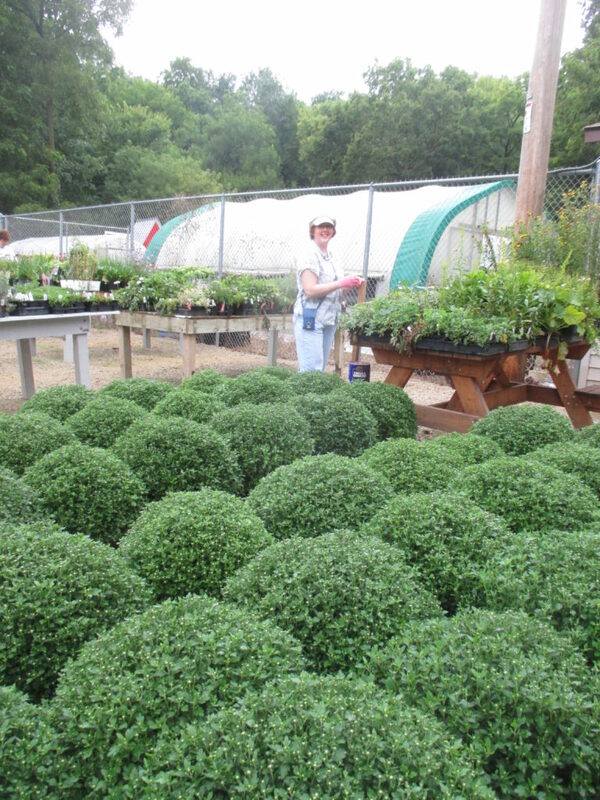 Becky in front of massive, $9 mums! 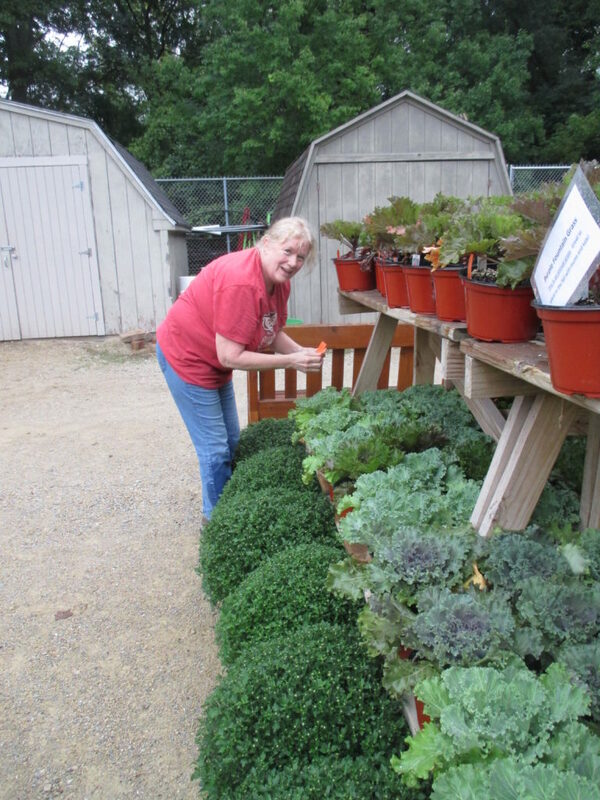 Nancy (above) pricing kale at $5 each!